I found myself trekking up another mountain trail today. This time, it was Mt. Maculot in Cuenca, Batangas. 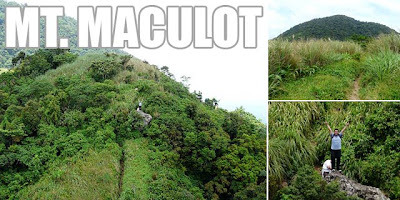 Maculot is a very popular day trip destination, especially for beginners. Like always, I didn't have much sleep the night before so I dozed off on the way. We passed by the STAR Tollway to Lipa and from there drove to Cuenca which is the next town. At the campsite, one is afforded great views of Batangas and Cavite, Batangas Bay, and even Mindoro. You'd be surprised also that halo-halo is available in one of the sari-sari stores at the campsite. And along the way, there are enterprising locals who sell buko juice and other drinks. 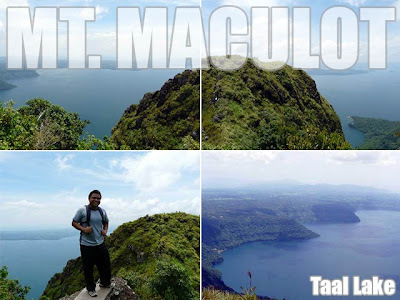 The best vantage point of course is that of the Rockies, a rocky formation which offers a panoramic view of Taal Lake and Taal Volcano. But you'll have to climb down and up a cliff to get there. Going down was a breeze. And we were back on the road in no time. 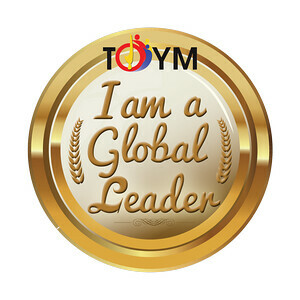 For detailed information about Mt. 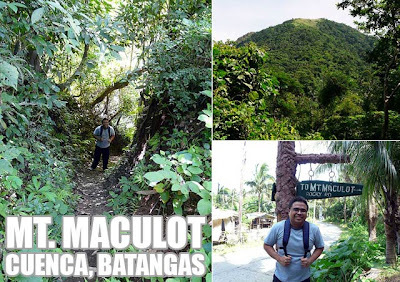 Maculot, check out Pinoy Mountaineer. i have already climbed that mountain! Ang galing! I was unusually tired today but I survived! Haha! *sigh* this was the first mountain i ever climbed. it was fun! rain caught up with us as we were on our way down so what we did was just to sit on our buts and slide down the clearer paths.. saya! wish i could go again..
we were there last aug. 20-21.. we followed the newest trail set up by AFP... its a hard and steeply trail.. and to consider also the loose soil to step on.. we literally crawled in a cogon grass..and finally after a 5-hr trek which started from 11 pm, we reached the summit at 4 am...what an experience! Climbed the mountain last 30 January 2010; we did the Traverse. It was such an experience. The stores on the campsite aren't there anymore though. i was there lst may 22 and inabot kme ng mlakas n ulan on our way down.sobrang steep and hlos wla n view deck sa hba ng mga damo.